Review: 2013-08-17, tough and exciting fight with three knockdowns, heavy exchanges and a spectacular finish: Giovani Segura vs Jonathan Gonzalez is close to get four stars is one of the best boxing fights of 2013 and it gets four stars (we had rated this fight three stars but after watching it again we have changed our rating – August, 27, 2013). Giovani Segura (29-3-1, 25 KOs=75%) entered as the No.10 flyweight in the world while the undefeated Jonathan Gonzalez (13-0-0, 11 KOs=79%) entered as the No.27. 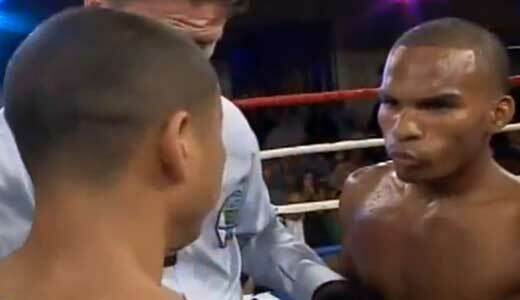 Segura vs Gonzalez is valid for the interim WBO Latino flyweight title. Watch the video!